It may not be a soup, but the soup definitely inspired the dish. 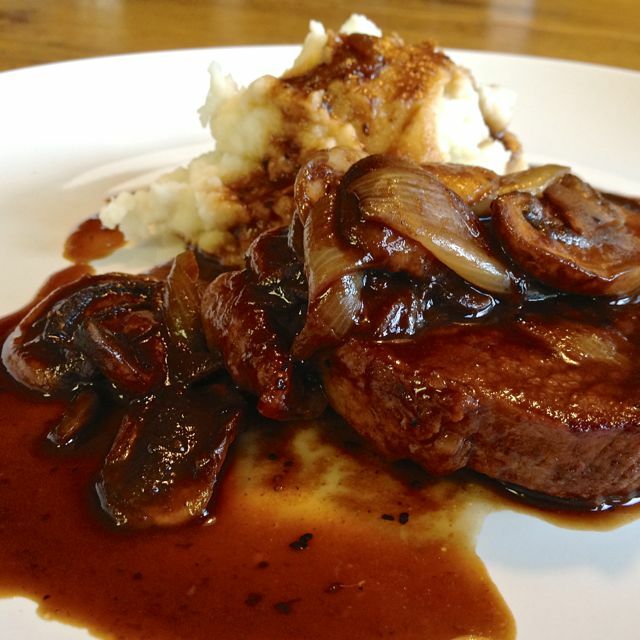 After eating more steaks than originally planned, here’s the recipe. 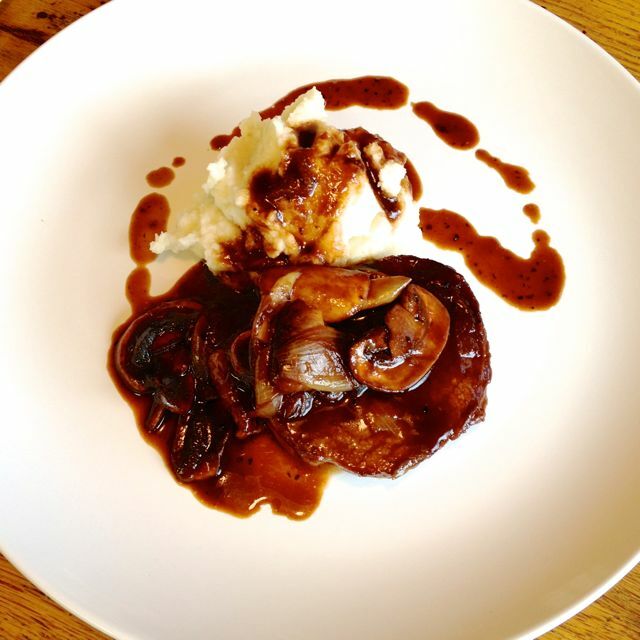 I suggest it be served with fluffy, buttery mashed potatoes. 6 shallots; peeled and halved. 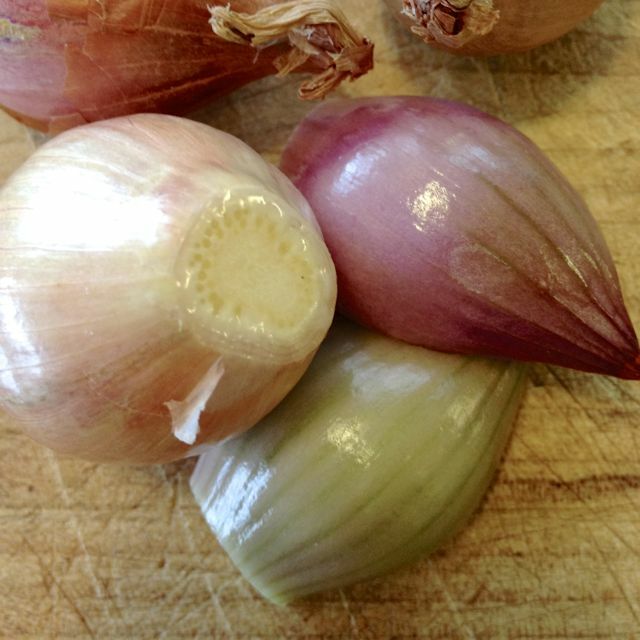 Leave some of the root intact, so the shallot stays together somewhat while cooking. Showing the root end trimmed but still intact, prior to halving. Heat 1 tablespoon of the oil in a heavy bottomed skillet (or Dutch oven), over medium heat. 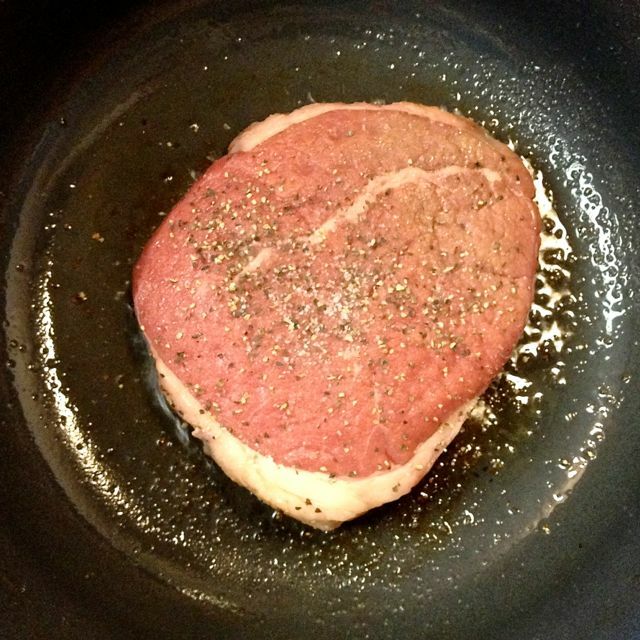 Blot the steaks dry with a piece of paper towel. Season both sides with salt & pepper. 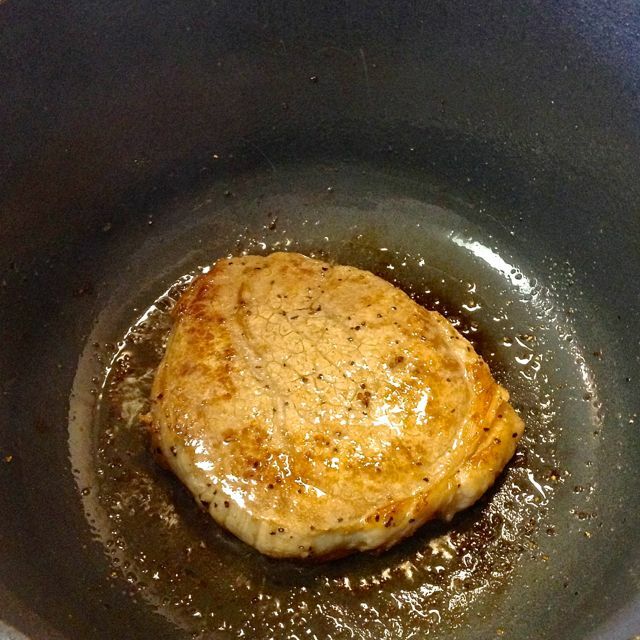 Sear 2 steaks at a time, browning both sides – about 3 minutes per side. Do not crowd them or they won’t sear properly. Cooking one at a time due to the size of my pot. 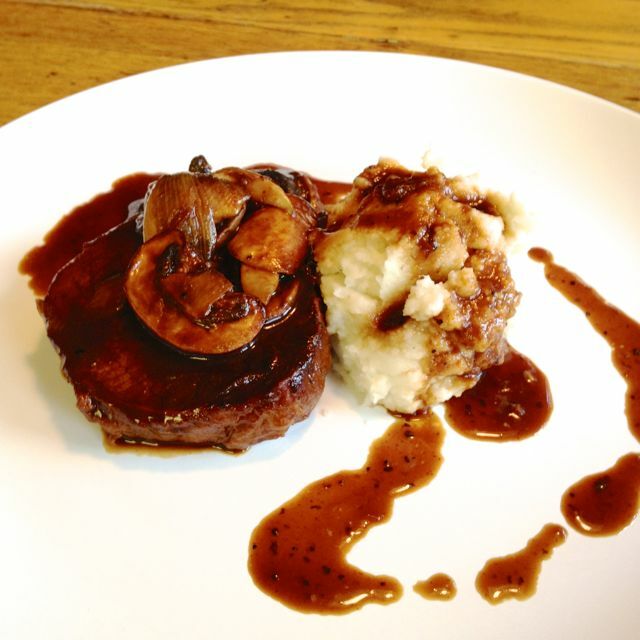 Remove to a plate, and brown the next pair of steaks, using the second tablespoon of oil if necessary. Reserve with the first two steaks. Gently pour the Guinness into the hot skillet. 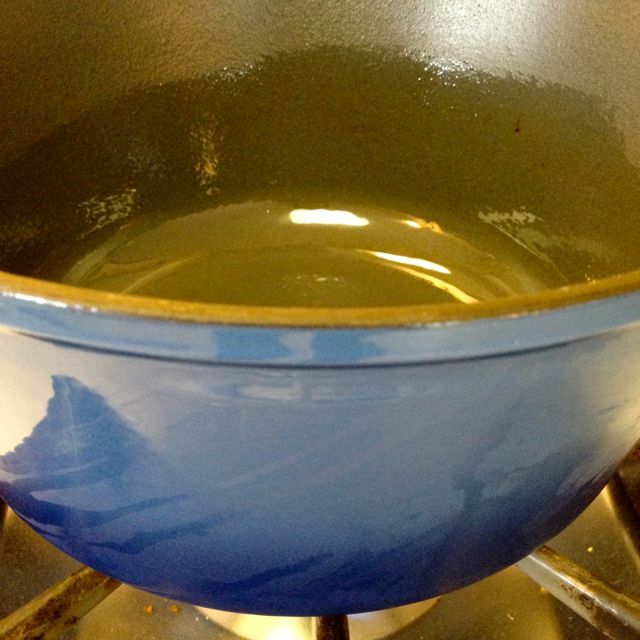 Bring to a simmer, stirring and deglazing the pan. 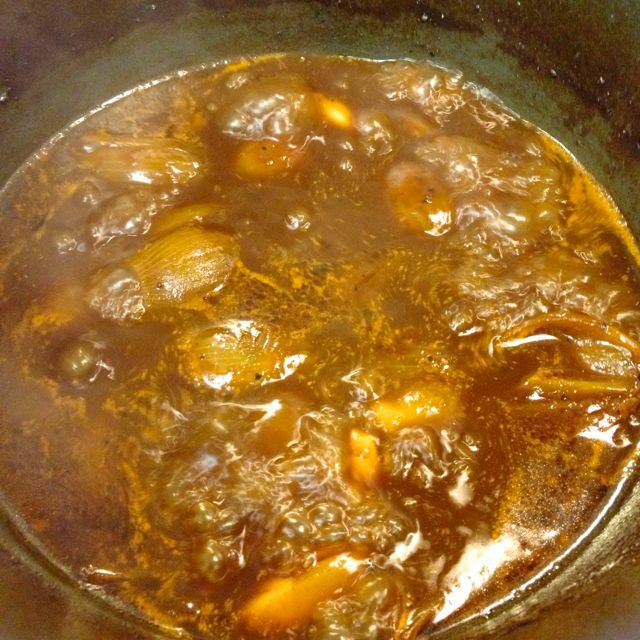 Add in the Worcestershire sauce and tomato paste. Set the steaks in the bottom of a deep baking dish, which has a lid. 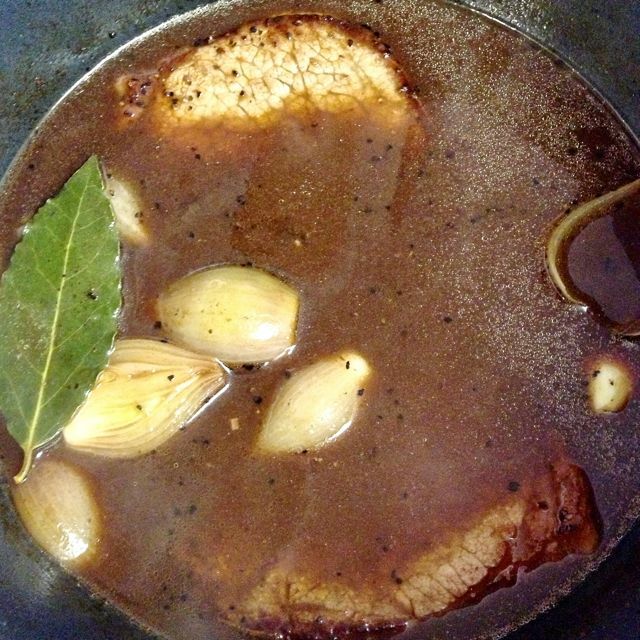 Arrange the shallots, garlic, and bay leaves on top of the steaks. 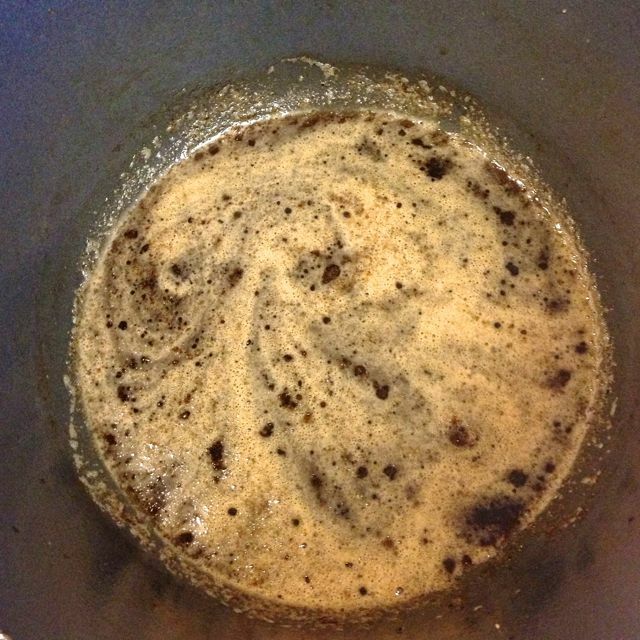 Carefully pour the Guinness mixture over the vegetables and steaks. 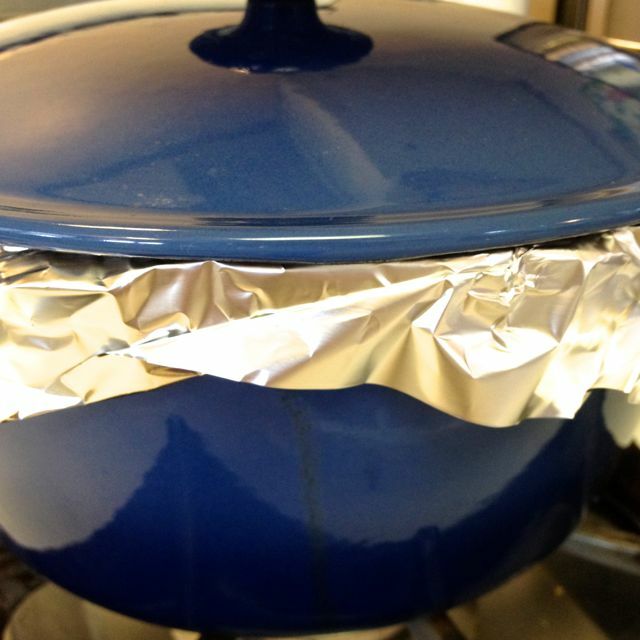 Cover the baking dish with foil, and then cover with the lid. This is to retain as much moisture as possible. Place in the center of the preheated oven. 10 minutes prior to the end of the hour, cook the mushrooms. Heat the butter in the skillet over medium heat. Cook the mushrooms, stirring occasionally, until they start to brown. 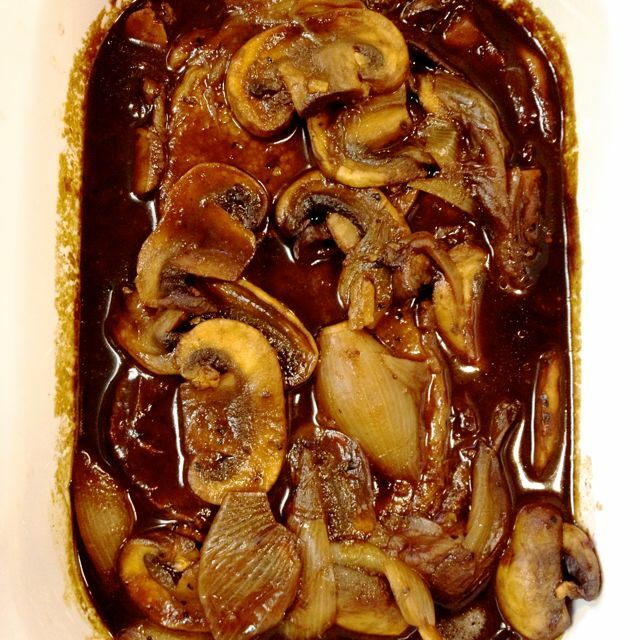 After about 7 minutes of cooking, add in the balsamic vinegar. Continue cooking while the mushrooms absorb the vinegar, another couple of minutes. Turn off the heat and let the mushrooms rest. When the beef is ready, remove it from the oven. 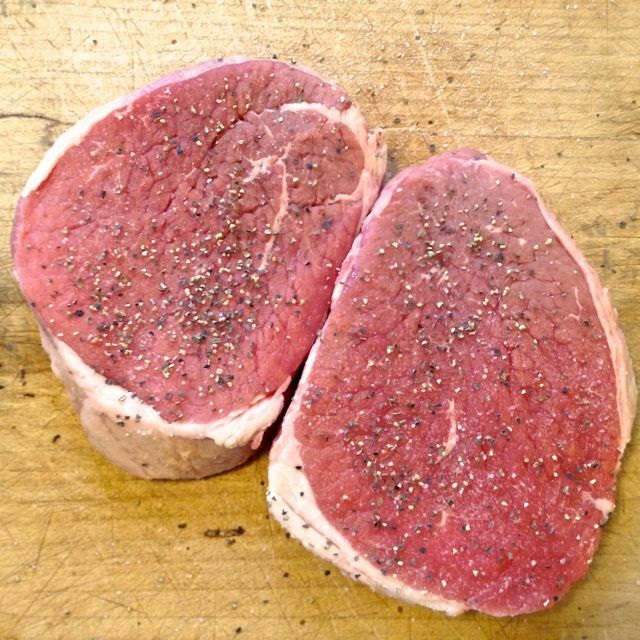 Uncover, and using tongs or a fork, remove the steaks to a plate. 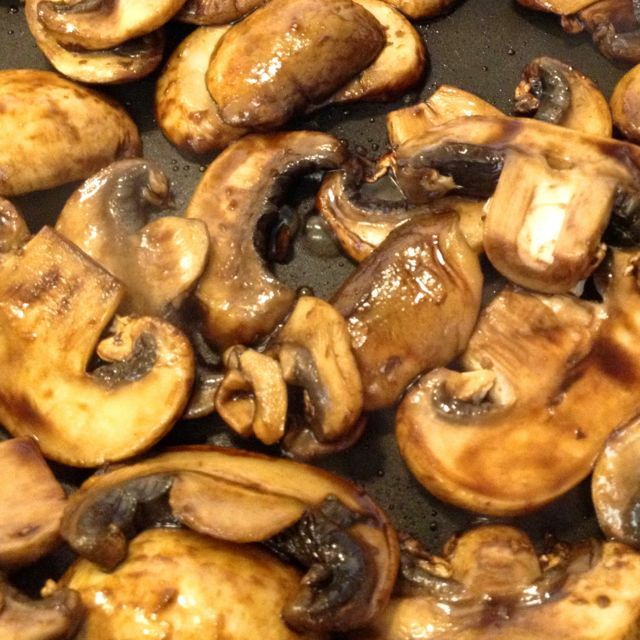 Pour the liquid and vegetables into the skillet with the mushrooms. Stir well to incorporate the mushrooms. 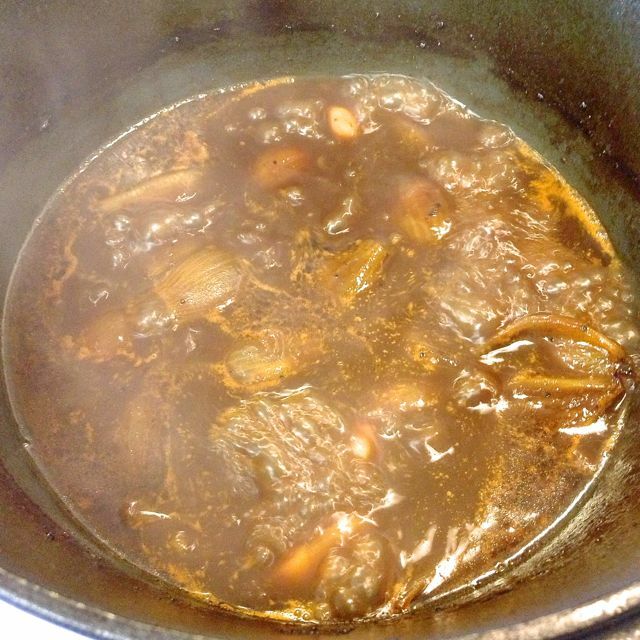 Bring to a quick simmer, and reduce the sauce for about 10 minutes, until it has thickened. Add the steaks back to the baking dish. Put the lid back on the baking dish. Remove the steaks from the sauce. Lay alongside a portion of fluffy mashed potatoes. Spoon out some mushrooms and shallots, along with a bit of sauce, to cover the steak. Finally, spoon some plain sauce over the potatoes and steak. Serve with a green vegetable such as broccoli, rapini, or green beans.